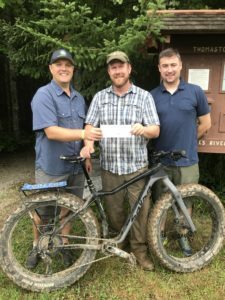 Georges River Land Trust thanks Sidecountry Sports owners Andrew Dailey and Brian Kelley for their generous contribution of $10,000 to the Connecting Community to Town Forests Initiative. This project, the result of a longstanding working relationship between Georges River Land Trust and the Thomaston Conservation Commission, is a collaborative effort to engage local youth in healthy outdoor experiences by the construction of a multi-use path through the town-owned forest. Georges River Land Trust, the Midcoast Chapter of the New England Mountain Bike Association, Trail Runners of Midcoast Maine, Sidecountry Sports, Stonescape Masonry, and Oceanside Middle School are currently collaborating on phase one of the project. These trails will be open to the public in October and will support a new physical education program that is starting at Oceanside Middle School. Oceanside Middle School was the recipient of the Riding for Focus grant from the Specialized Foundation. The school was awarded 27 mountain bikes through the grant for physical education and after school programs to use cycling as a tool for students to achieve academic, health and social success. 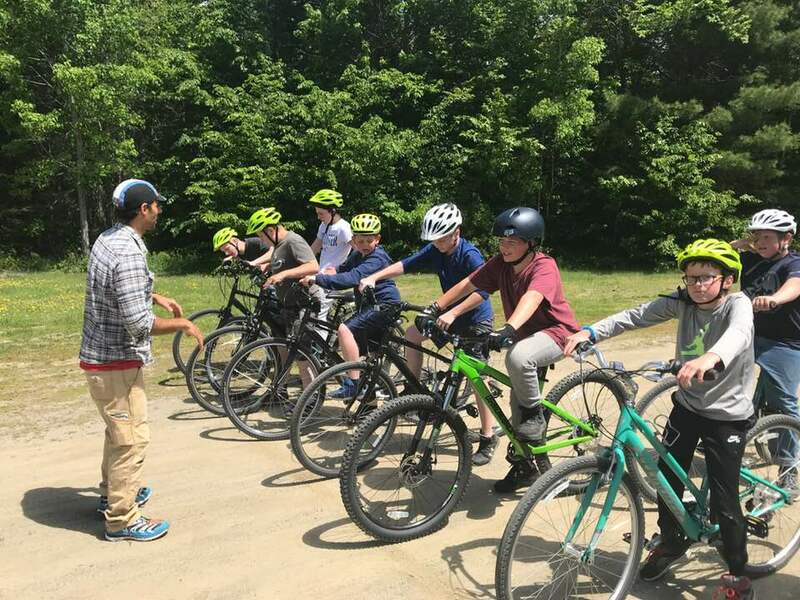 The Riding for Focus program will provide a combination of cycling, fitness and academic performance, all while instilling a lifelong passion for the outdoors for students who participate in the program. The project needs your support through contributions and volunteering to continue into the second phase. The Georges River Land Trust is grateful to Sidecountry Sports and Stonescape Masonry for their support for this project that benefits our community. If you would like to contribute (donations, supplies or volunteer) please call Brent West at Georges River Land Trust at 594-5166.